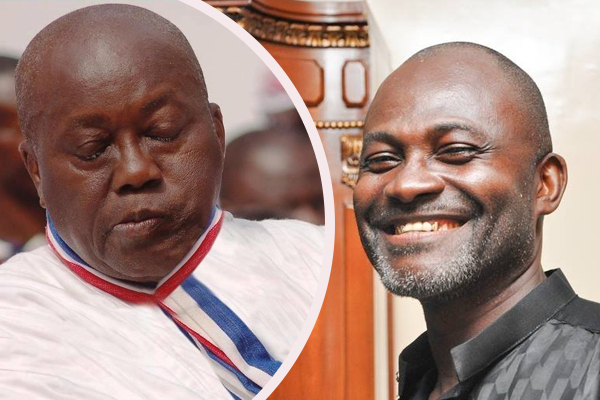 Controversial Member of Parliament (MP) for Assin Central, Mr. Kennedy Agyapong says he becomes drowsy the very moment he steps into a church building. According to him, the posture of some "self-acclaimed" men of God pushes him away and kills his desire to worship in God's house. Contributing to a discussion on Adom TV’s morning show, Badwam, Mr. Agyapong asserts that about 90% of prophets are deceitful and end up victimizing their followers by giving them false prophecies. “Can you believe a pastor told my wife that I was dating her friend. Someone I don't even know and don't have her number too. which has brought an enmity between them? What kind of rubbish is that? And you’re asking me to go to church. The moment I get there I feel sleepy,” he revealed. He further said, most pastors live extravagant lives by duping their vulnerable followers through claiming huge sum of money from them before giving them the “false prophecies”. “The pretence, hypocrisy is my challenge. The Bible even tells us that in the end there will be false prophets. When you take Elijah in the Bible, he said these false prophets will claim they are the Messiah. What the Bible said and looking at the trend of religion in this Africa, is it true or not?” he quizzed. Mr. Agyapong’s comments follow a prophecy carried by founder and leader of the Elected Prayer Ministry, Prophetess Rebecca Aboagye, suggesting that the former has a true calling from God to go into full time evangelism. According to the Prophetess, Mr. Agyapong has disobeyed God by choosing to become a politician, hence must resign and fulfil God’s will. “God is unhappy with Kennedy Agyapong. He must respect the calling of God and preach the gospel but not to be a politician,” she warned. However, the Legislator is not in the least moved by this prophecy because he does not believe in such. “I don’t believe in prophecies because the lifestyles of the bearers do not look like what men of God should exhibit. When you say it, they say you are blaspheming but it is the truth. How can you tell me not to consider the prophet who goes contrary to what he preaches but believe in the prophecy he carries?” he maintained.